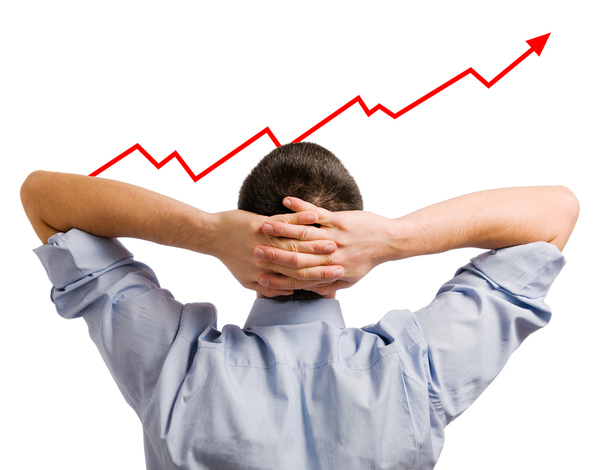 Success ultimately means investing in results. When companies invest in executive coaching, they do so in hopes of gaining measurable improvements. Why do we invest in our children’s education? Because we want the result of prepared, independent people who contribute to society. We invest financially to get the result of greater financial freedom. We invest in improving skills because we want the result of being more competent and effective. Likewise, companies invest in executive coaches because they want the result of more effective top leadership. But the companies with the deepest pockets know that just because someone calls themselves an executive coach doesn’t mean they have the skills to work with top executives, address their skills gaps, double down on best characteristics, and facilitate better results for the company. Executive coaching programs aren’t hard to find. But determining which executive coaching programs turn out truly qualified executive coaches can be a bit more of a challenge. Making this extra effort is mandatory, however, for organizations that want to maximize the return on their executive coaching investment. What Backgrounds Do Top Executive Coaches Typically Have? Most executive coaches have backgrounds in things other than coaching. Just as many opera coaches are former opera singers, and just as many sports coaches have extensive experience playing the sport they coach, executive coaches often have experience in the highest levels of business leadership. That is not always the case, however. You’re likely to find some executive coaches who specialize in particular industries, and this can be helpful. For example, hiring an executive coach for the top brass in a healthcare corporation will typically require a different set of expectations than would hiring a coach in an industrial solvents business or a transportation company. Do you need to choose an executive coach with a background in your particular industry? Not necessarily. However, highly specialized industries with highly specialized customer bases tend to benefit from hiring executive coaches with specific experience in those industries, because they are likelier to understand what these companies need from their top leadership positions. It doesn’t matter what industry your business is in: you can almost certainly find an executive coach with experience in that industry, and while it isn’t strictly necessary, it can be a good way to narrow the field when choosing an executive coach for your top leadership. 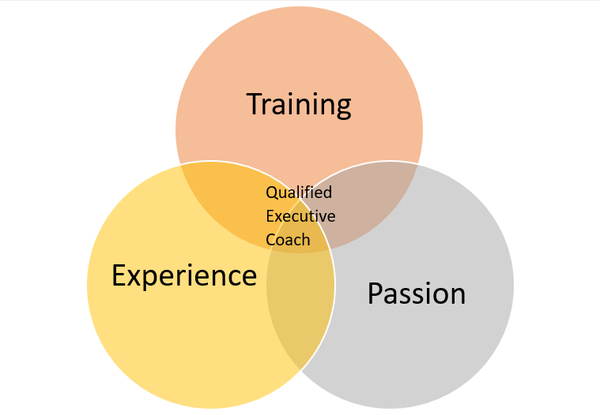 What Training Is Available for Aspiring Executive Coaches? A simple search engine query on “train to become an executive coach” yields over 99 million results, so there’s no shortage of people or programs out there claiming to serve this need. Since there is no single, official credential that will tell you whether an executive coach is qualified the way, say, an accountant is qualified, you could hire an executive coach with any number (or no number) of training experiences. The fact is, anyone can claim to be an executive coach whether or not they have been through an executive coaching program, so it’s wise to be skeptical of the credentials of anyone who says they are an executive coach. The good news is that executive coaching programs are evolving to more directly meet the needs of potential coaching clients, and those who are serious about becoming an executive coach know that if they want to land the best clients, they have to bring something more to the table than a hastily-earned certificate bestowing the title “executive coach” on them. Today there are even accreditation programs for executive coach training programs that can help potential clients determine whether the coaches they consider hiring have the necessary training and experience to deliver outstanding results. There’s still no equivalent to the Bar Exam for executive coaches, but it’s a bit less of a “Wild West” environment than it used to be with respect to finding qualified coaches. Any top executive coaching program will cover the three main pillars of overarching coaching principles, practice guidelines, and core competencies. The overarching principles learned in executive coaching programs work as a compass to the coach and the client. A systems perspective is one such principle because the goal of coaching a single executive is always pursued as part of a larger goal of organizational success. Other overarching principles include a results-based orientation, because results are, after all, what the organization wants, and a business focus because the coach is not a substitute for a therapist. Executive coaching is ultimately about business, not about exploring psychological issues. Practice guidelines taught in executive coaching programs include topics like confidentiality, pre-coaching assessments and activities, the development of coaching contracts, assessments, goal-setting techniques, and follow-up. Core competencies taught in high-quality executive coaching programs include psychological knowledge, business understanding, organizational understanding, and proven coaching techniques. Coaches should also be specifically trained in how to build and maintain coaching relationships, how to conduct developmental planning with the client organization, and how to facilitate development and change with clients. Finally, coaches should be trained in how and when to conclude the coaching relationship, and how to help clients make the transition to long-term development. Most executive coaches provide for some follow-up guidance after the official coaching relationship has ended, and this can be tremendously helpful for executives who want to continue developing the skills and techniques that coaching has helped them learn. Accreditation, in general, is a process where an organization obtains certification of competency and credibility. When evaluating accreditation of executive coaching programs, it’s important to learn about not only the coaching program but also about the organization bestowing the accreditation. In the field of executive coaching, it is the International Coach Federation (ICF) that is the most prominent accrediting body. One of the main purposes of the ICF is to ensure high standards in the coaching profession, because the better the training program is, the better results the coaches trained by it will deliver. The ICF is recognized as an industry leader worldwide, and ICF accreditation generally indicates that an executive coaching program has proven credibility. When you’re excited about hiring an executive coach, it can be somewhat of a downer to consider the possibility that a training program isn’t up to scratch, or may have had problems in the past, but it’s part of the due diligence that must be done to ensure that the investment in executive coaching gets the desired results. Can Coaches Receive Some or All of their Training Online? 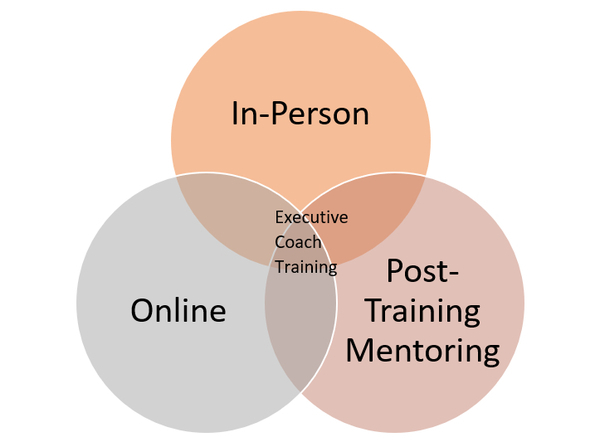 Many aspects of executive coach training can be and are carried out online. Not everyone who aspires to become an executive coach has the resources to devote to even a short-term, intensive program on a campus. In fact, even executive coaching programs that conduct most of the training in a classroom generally have some of the activities online, for practical reasons. Today’s executive coaching programs tend to include both in-person and online components. One example of an accredited executive coach training program is John Mattone’s Intelligent Leadership Executive Coaching Certification. The program is accredited by the ICF and is designed to ignite (or re-ignite) a participant’s coaching career by training in proven executive coaching philosophies, processes, and tools. Some of the training takes place online. The program includes an intensive, immersive three-day hands-on learning experience, as well as a comprehensive resource manual, plus a recommended two-year development journey so that skills learned can be consistently applied as an executive coach grows their practice. Further levels of mastery can be pursued with additional in-person and online learning modules. In short, even the world’s top executive coaching programs are realistic, in that they understand the value of online learning. Accredited online training programs are pursued by aspiring executive coaches who may not have geographic access to in-person programs. The key to succeeding at any high-quality training program is the effort and time the participant is willing to invest in the process. Since coaching is an unregulated industry, you will have to ask questions and do research to find out what qualifications a potential coach offers. You can be more confident of their qualifications if they show they completed an accredited program, such as one accredited by the ICF. Another way to check out credentials is to do online searches of both the candidate coach and any programs they attended. While there are many coaches who consider themselves generalists, there are also many who choose to specialize in certain industries. You may or may not choose to hire an executive coach who specializes in your particular industry, but you are wise to discuss your needs as well as your industry when talking to potential coaches. Any top executive coach will have the names and contact information of trusted professional references you can talk to about their expertise and experience. Experience, training, and passion for coaching should all be evident in any candidate coaches you interview. Additionally, this session should give clients an idea of the level of synergy between the coach and client, as well as whether the coach is well-organized, and genuinely committed to what they do. What events led you to become an executive coach? What steps will you take to understand our unique corporate culture? How do you tailor plans to meet specific coaching needs and budgets? What type of coaching methodology do you use? Can you give me an example of when you empowered a client to leave their comfort zone? How would you handle telling a client that they are wrong about something? How do you measure the success of the coaching engagement? How long are typical coaching engagements, and do you offer follow-up afterward? Even for large, successful businesses, executive coaching can be a sizeable investment. 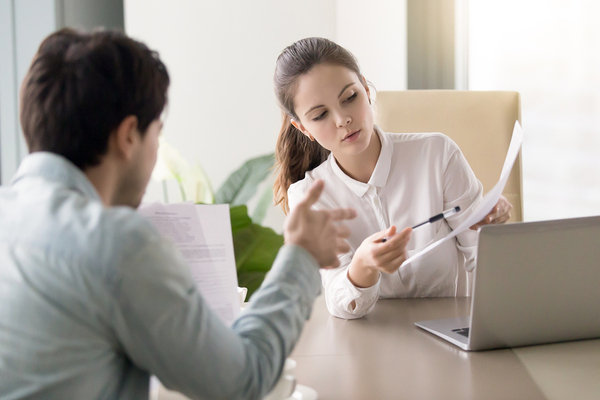 Maximizing the return on that investment requires that you do plenty of research and ask plenty of questions before signing a contract with an executive coach. Signing a contract with an executive coach should only come after thorough research and vetting. What if You Want to Become an Executive Coach? The process of becoming an executive coach may appear simple, but it isn’t easy. The first, and perhaps most important thing you can do is to ask yourself if coaching is the right calling for you. Being a great coach requires genuinely wanting to coach. You might be surprised at the number of people who entertain the idea of being an executive coach without being convinced deep down that coaching is a good fit for their experience, goals, and personality. Assuming that coaching is a genuine goal, and something you’re willing to learn, practice, and persevere with, the next step is choosing an accredited executive coaching program. There are many of them, so you’ll need to research several. Consider how the training is delivered (online, in person, or a combination of both), how much it costs, how long it lasts, and what credentials you will receive upon successfully completing training. Once you finish your executive coaching program, you will need to build coaching experience hours. Many coaching programs help program participants to do this as part of the training program, but not all do. Working with a mentor coach can be tremendously helpful in learning the daily ins and outs of the coaching business, and in networking and finding opportunities to coach. With many executive coaching programs, the hours you spend coaching in the field can count toward additional coaching credentials. Getting your first coaching client is a major milestone, and it may take time, but don’t give up. Networking and asking for word-of-mouth recommendations is necessary, but there is much more you can do in the meantime. One of the most important things to do is to know your “ideal” client. What industry are they in? Do they work for a small or large enterprise? What types of changes do they want to make? Create and practice your “elevator speech” that lets someone know in 30 seconds what you do and how you do it. And make it easy to do business with you. Always have with you a selection of your own marketing collateral, or at least a rate sheet with clear payment options so people will see that you take your work seriously and are ready to answer their questions. Finally, set realistic goals with a timeline. You may need to start with an offer that is hard to resist, such as a flat-rate package of time with clear goals and a clear value proposition. After you acquire the first client (and presumably give them your absolute best effort), you’ve built some momentum toward gaining the next client, and so on, with each client, you add to your repertoire. Marketing yourself online should begin before you land that first client, and should include your presence on a handful of social media sites (especially sites on which you have a loyal following). Content marketing through blogging is standard practice with executive coaches. If you haven’t the time to consistently publish relevant information to your coaching blog, you may need to invest in a writer who can do this for you. Consistency and commitment are the keys to building a strong online presence that will serve your coaching practice for years to come. Executive coaching that gets demonstrable results benefits both the client organization and the coach. Executive coaching programs strive to train executive coaches who deliver measurable value to their clients. At the same time, because there is no regulation in the executive coaching industry, sketchy executive coaching programs exist that hand out meaningless credentials and do little but waste people’s time and money. Accredited executive coaching programs are the ones that companies should look for when evaluating potential coaches for their top leaders because it is the accredited programs that have the most to lose from ill-prepared or marginally trained coaches that come from the programs. Becoming a successful executive coach is simple, but not easy, and companies that take the time to research potential coaches and to talk to them before signing a contract are likeliest to discover just the right coach for their needs. Great coaching relationships depend on honesty and transparency, right from the start. If you want to know more about executive coaching, corporate culture, and the importance of coaching to outstanding leadership that gets results, I invite you to check out my books, which explore these topics and more in detail.